Isabella Hammad's characters are exquisite. Their relationships with one another, and within their own self-perceptions, are astute, fragile, and beautiful. 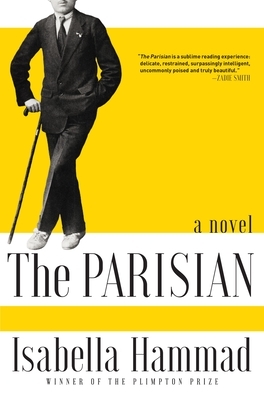 Her writing effortlessly interweaves the complexities of culture and patriotism, love and communication from an Ottoman Palestinian's studies abroad in France during WW I into the base fabric of this novel. Tremors grow underneath the surface of the woven landscape, emerging and shaking Hammad's characters' inner and outer worlds into new versions of themselves. The Parisian offers an important reminder about “west” and “east,” interlopers, the dangers and lasting impact that comes from distilling cultural complexities into a tidy representation on paper.